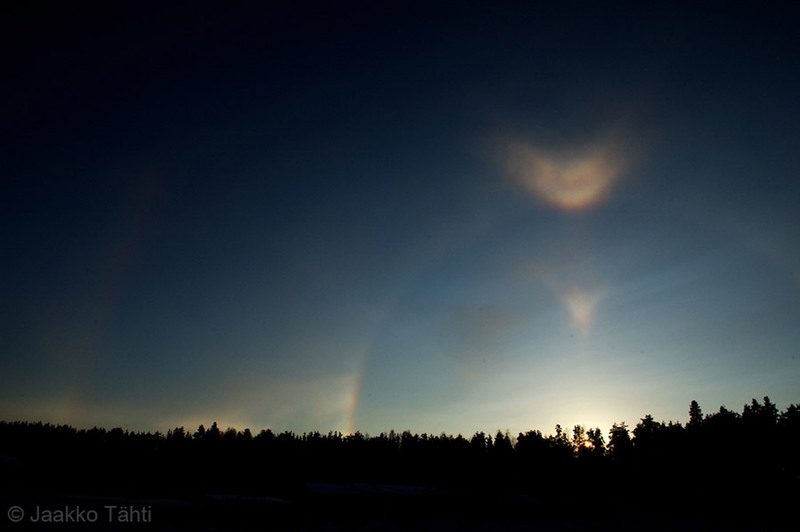 On 23 January Jaakko Tähti was doing product photography in a factory in Viitasaari when he got a phonecall that there was a good halo display in the sky. He could not get outside but had a look at the display from factory window. 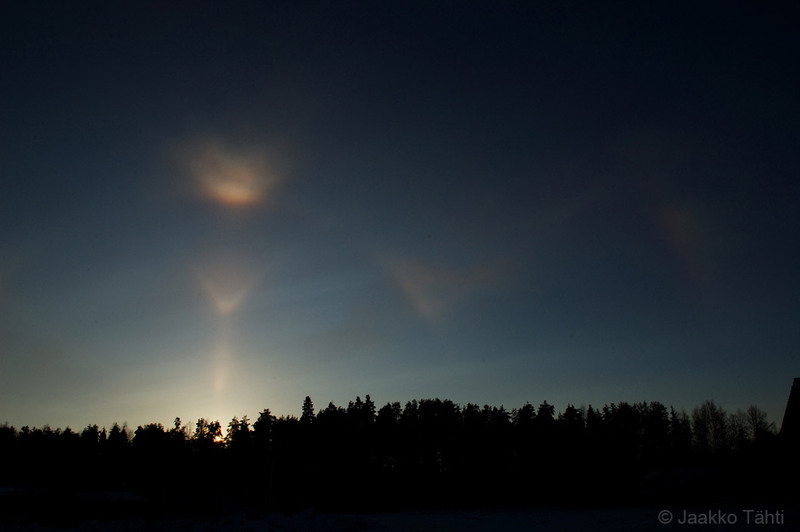 An hour later, at 13:45, Tähti finally got a chance to go out and took photos from which the above panorama was made. 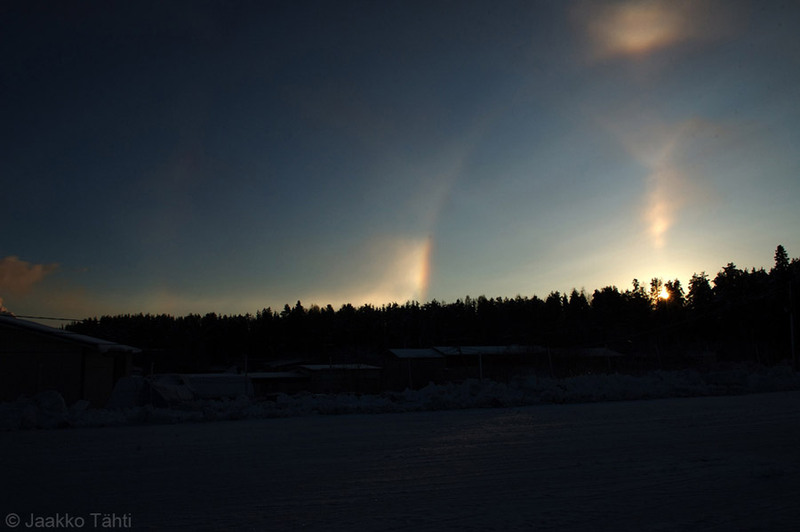 The halos in the display are the usual ones for snow gun generated displays (ski center was nearby), but the razor sharp form of the Moilanen arc is of a better class. 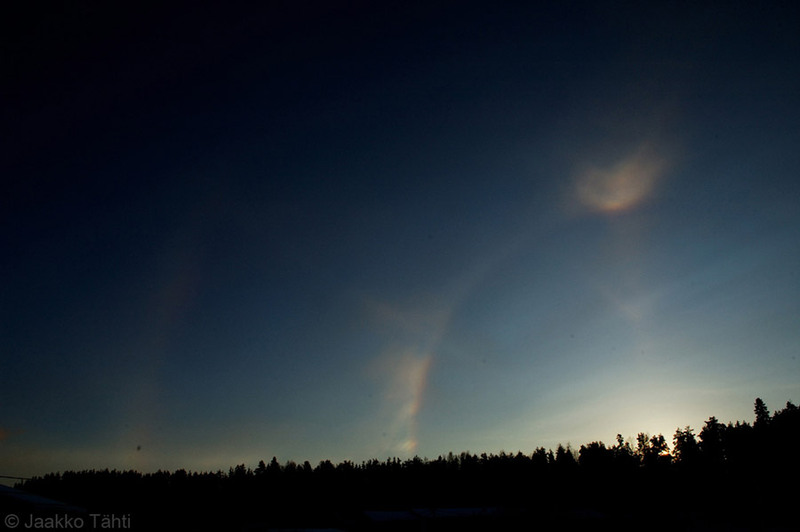 Crystal samples from these kind of appearances could be useful in unveiling the mystery that shrouds the Moilanen arc formation. Here are four single photos of the display ( 1 - 2 - 3 - 4 ). Wow..the M-arc is really well defined. A really nice catch indeed. btw: it makes me wonder what kind of product shoot is more important than a shot of a complex halo display ?